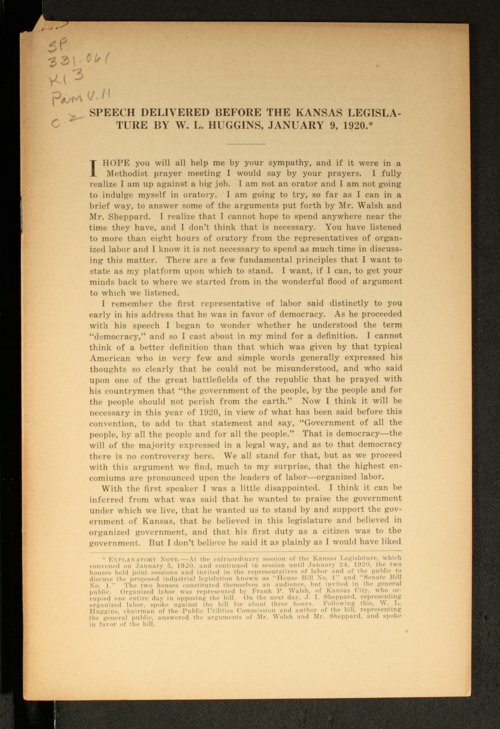 This is a speech by William L. Huggins, speaking in favor of the proposed bill on industrial legislation before the joint sessions of the legislature. Judge Huggins presided over the Kansas Court of Industrial Relations and authored the bills, House Bill No.1 and Senate Bill No. 1.